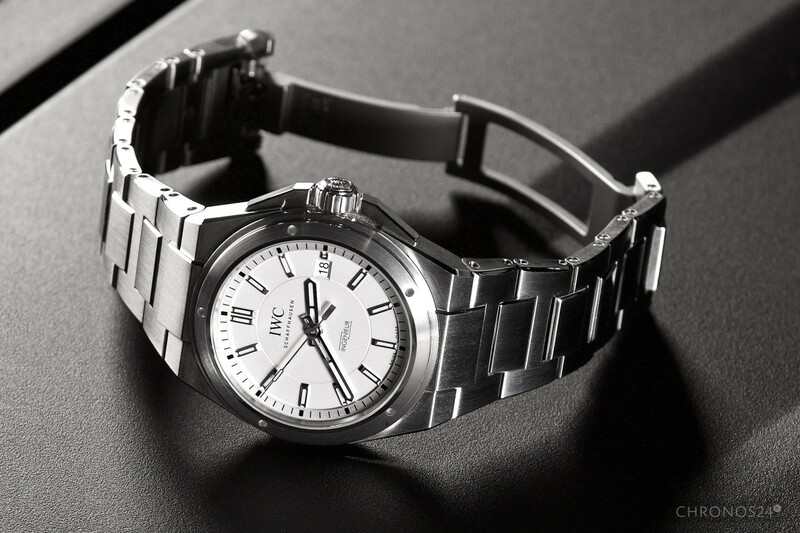 A classical design within the 2013-refreshed Ingenieur line from IWC is a reflection of the best designs of the model from past years. Thanks to this, it may become an interesting idea for a universal timepiece to be worn at any occasion. I have never been an Ingenieurs fan. 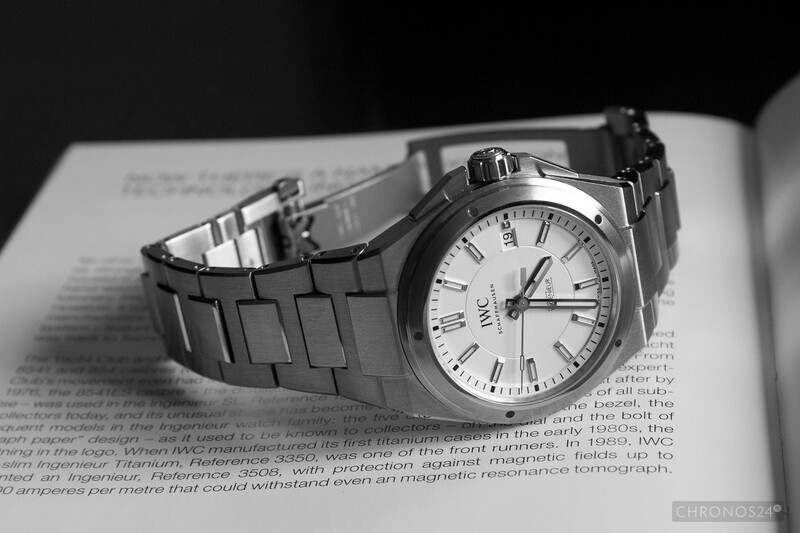 IWC’s more interesting models were, in my opinion, Big Pilot’s, Portuguese, and even Aquatimer. All in all, I can say that they would rank rather low on my dream list. As it turned out – time has come to review the idea. 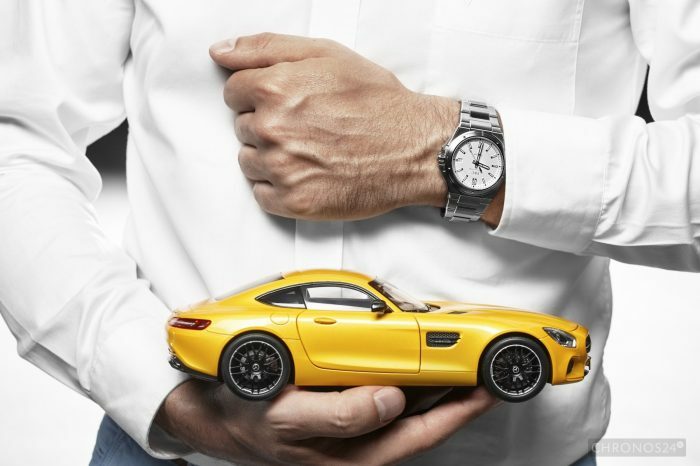 The decision to test an Ingenieur was taken after one of my friends, normally responsible for the AMG department of one of the largest Polish Mercedes dealers, showed me the new GTS model. 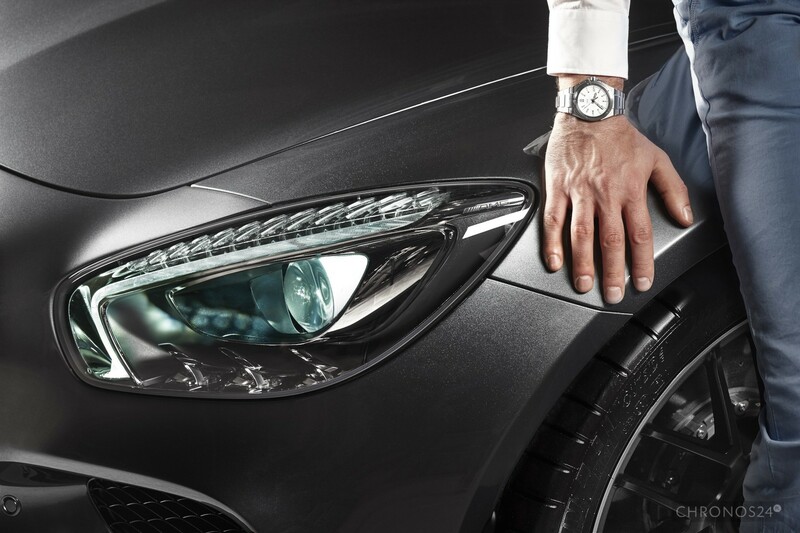 Because Mercedes AMG and IWC cooperate closely with one another I thought this would be a good occasion to have a cool photo session. 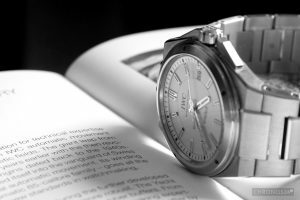 I have hesitated when choosing timepiece for the test. 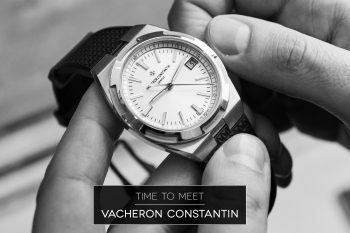 At first, I wanted to show the Ingenieur dedicated to the partnership, but a 46-millimetre case and a strictly limited character brought me to the watch from the basic offer – namely, the Ref. 323904. 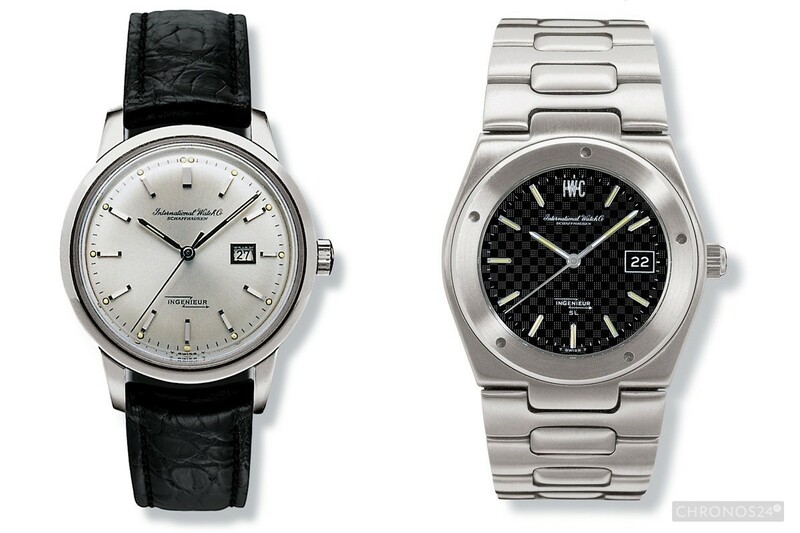 Although Ingenieurs date back to 1955, the first model does not resemble its contemporary offspring. The watch had a simple dial and a round case which made it an elegant classic. The situation changed in 1976, when Gerald Genta came into the spotlight. 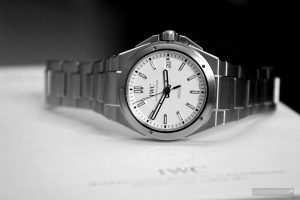 Probably the most renown watch designer, the father of the success of Nautilus (Patek Philippe) and Royal Oak (Audemars Piguet), decided to use well-tested patterns when drawing his design for IWC. Finished product, SL Ref. 1832, was a sporty timepiece in a technical, steel case, whose spirit is definitely felt in the tested model. As a fan of sport watches I got used to test pieces having diameters of between 42-44 millimeters. 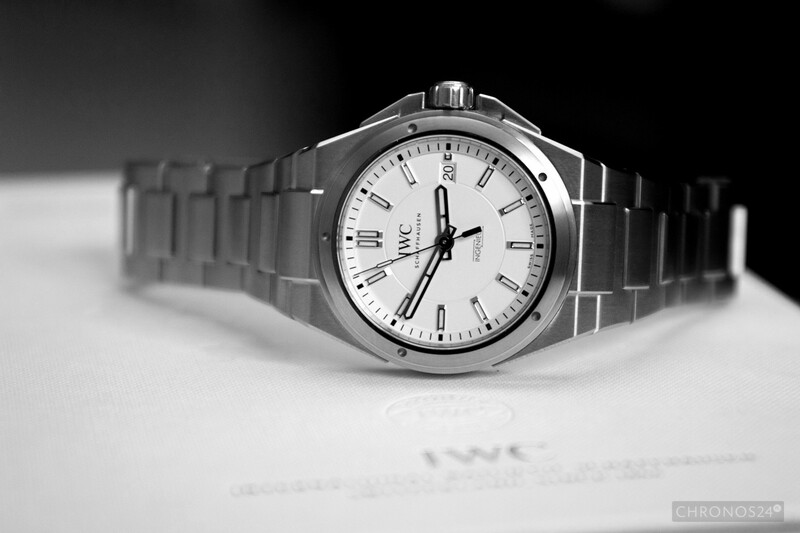 The IWC makes for “only” 40 millimeters in diameter and 10 in thickness. Combined with an excellently delivered bracelet, which shall be described in greater detail later, the Ingenieur fits the wrist perfectly. And this is a rather infrequent thing of me to say moments after putting the tested watch on my wrist. Even rarer after a few days. When writing about the case (WR120m) one needs to remember the elements securing the crown, seamlessly joining the rest of the structure, as well as the bezel with five holes, characteristic of Genta’s creativity. The whole design has been delivered at a very high level and despite numerous edges has a very smooth texture, with no sharp elements. 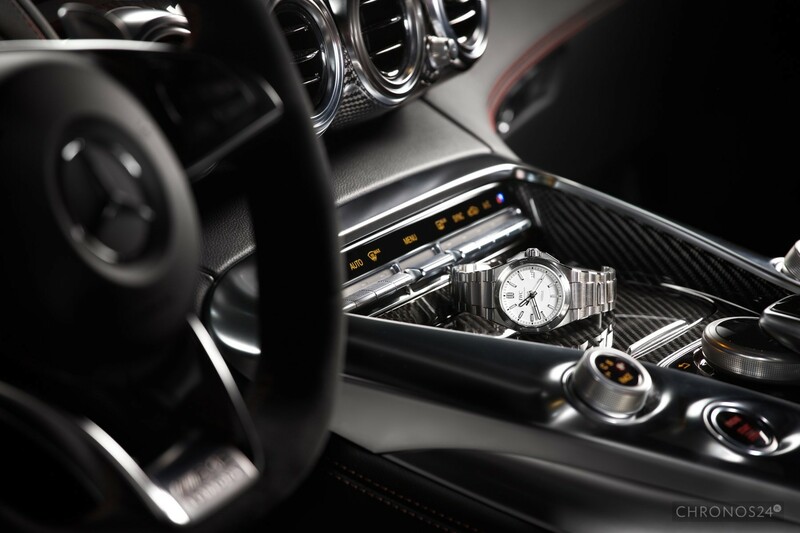 The caseback – similarly to the 1950s models – is not transparent. 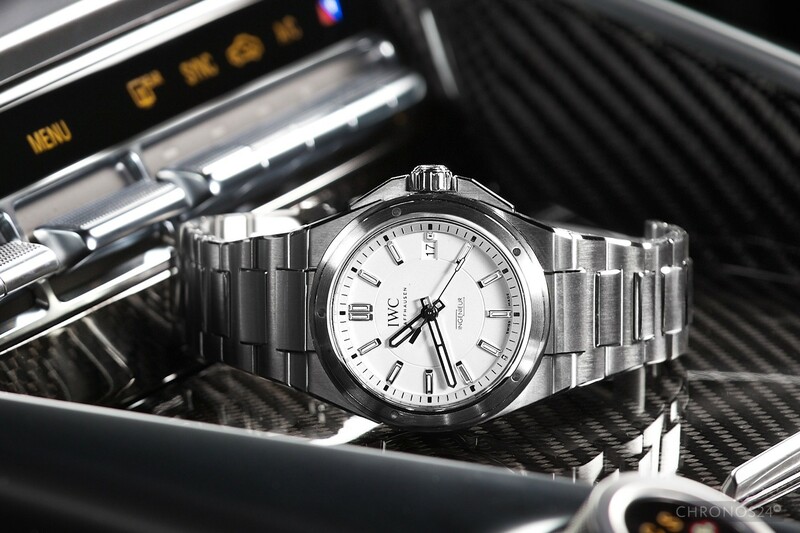 The silver-white dial is completed with applied indices filled with Super-LumiNova, a date window (at 3 o’clock) and the IWC Schaffhausen designation plus the INGENIEUR sign with the lightning bolt. Elements of the three central hands were also coated with luminous material, while two of them (hour and minute hands) partly skeletonized. Although it made the time indications legible in the dark, the luminous substance did not give off that much light in general. Because the watch was assumed to be worn by engineers working with machines of all sorts, and surrounded by magnetic field, its movement was enclosed in a special soft iron “cage” – a so-called Faraday cage. Looking at Ref. 323904 I was wondering whether the protection is not weakened by the date window. 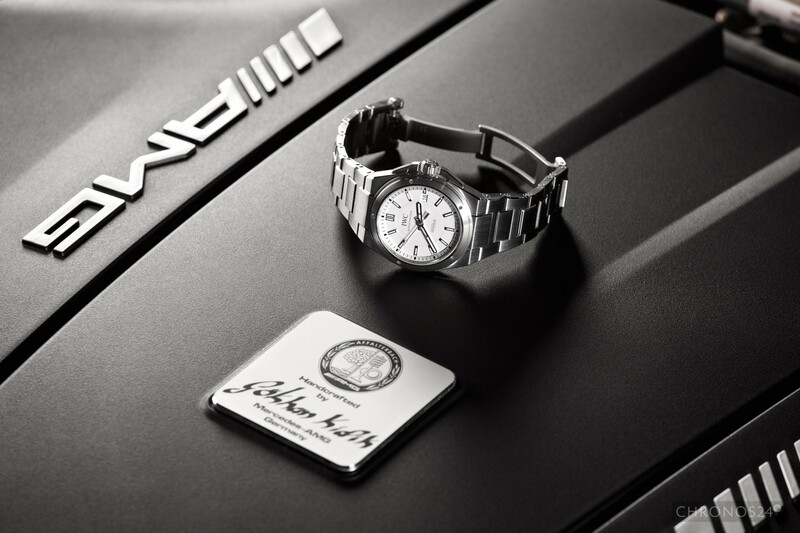 The movement powering the timepiece, with its 30110 symbol is nothing else that a Sellita SW300. It is improved and modified in Schaffhausen, but despite these attempts it remains the weakest link of the wristwatch. I do not mean to say it is a bad piece of mechanics, which it is not – it is rather a proven engine – but I expected more of a company at the level of IWC. On the other hand, taking a movement of a higher standard would surely impact the price. 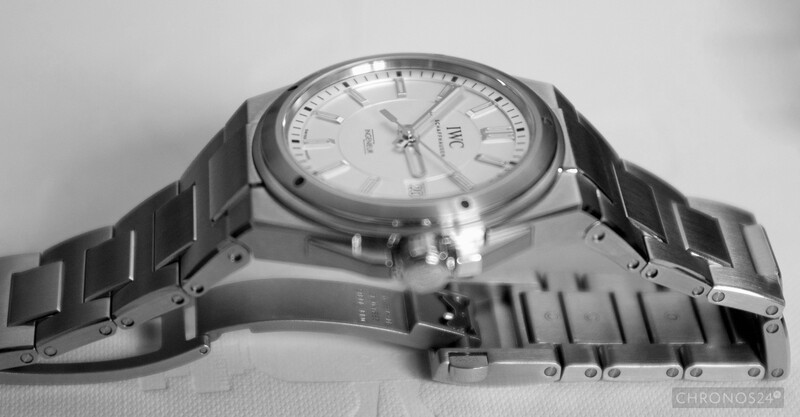 The Sellita works at 4 Hz and offers the average (taking into account the current standards) 42 hours of power reserve. 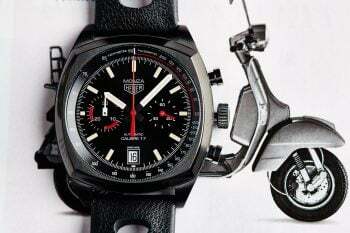 This, on the other hand, is the strongest aspect of the tested Ingenieur. It is definitely rare for me to come across such a well-executed bracelet! IWC put a lot of emphasis on the finish – some of the surfaces are brushed, the edges are polished with delicately raised middle parts- and the comfort. All throughout the test I did not lose a single hair off my wrist. What is more, the system of adjusting its length is really simple and user-friendly. In order to release the pin holding individual links together, it is enough to press the element visible in the mid-part, on the internal side of the bracelet, using a sharp tool. The producer also made a half-link available at our disposal, which allows for precise adjustment of the size of the bracelet. IWC used a clasp secured with buttons to close the bracelet. I still believe everything to be inferior to Rolex’s micro-regulation system, especially in the summer when the volume of the wrist changes with temperature, but the quality with which IWC’s bracelet is delivered raises no objections. When I was ordering the watch, I was not completely convinced. The situation changed drastically upon putting the timepiece on my wrist. 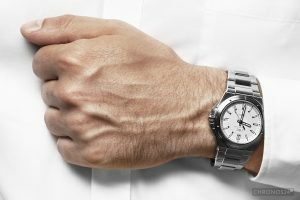 This is definitely a wristwatch we can pass by unnoticed for years, and when we finally get one – it is hard to get away from it. Ideal proportions, technical character in accordance with Gerald Genta’s style, excellent finish quality and unnoticeable weight are definitely advantages that convinced me to get to like the Ingenieur… to the degree when I am starting to wonder whether the first place on my personal Schaffhausen watches is still occupied by Big Pilot’s. 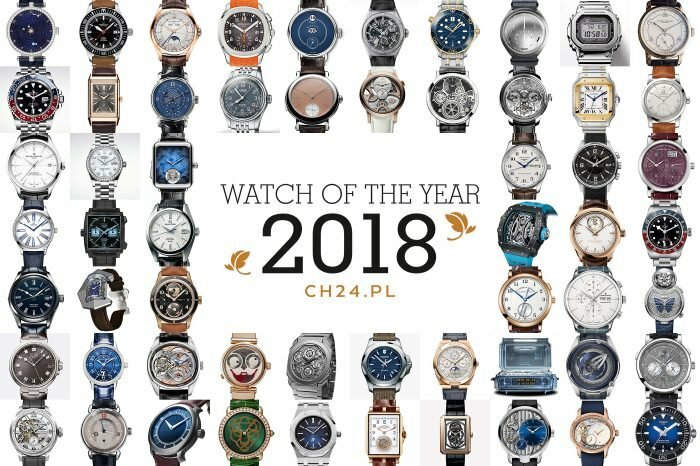 The only weak point is the movement, which ought to be better in a watch that costs around 6.000EUR, and which makes the timepiece seem a bit overpriced. Of course, this is all relative, because looking at models that became embodiments of Genta’s creative ideas, e.g. the famous Royal Oak, one can treat IWC’s offering as a real bargain. To summarise, I consider Ingenieur Automatic to be an excellent companion in daily life, even as the only watch owned. It suits both sporty attire and a jacket, or even a suit. This collection’s advertising slogan is “engineered for men” and I think the slogan reflects the spirit quite well. The watch is available in three versions: with a silver-white dial and steel indices / hands (ref. 323904), silver-white dial and golden indices / hands (ref. 323906) and with a black dial (ref. 323902). For reviewing purposes, the watch has been provided by Apart. We would like to thank the following: AMG Performance Center Sosnowiec and Artur Nyk.